Hey Tek-Ninjas, I've written two new children's books, and they are both available on iBook for your iPad or your Mac Book. 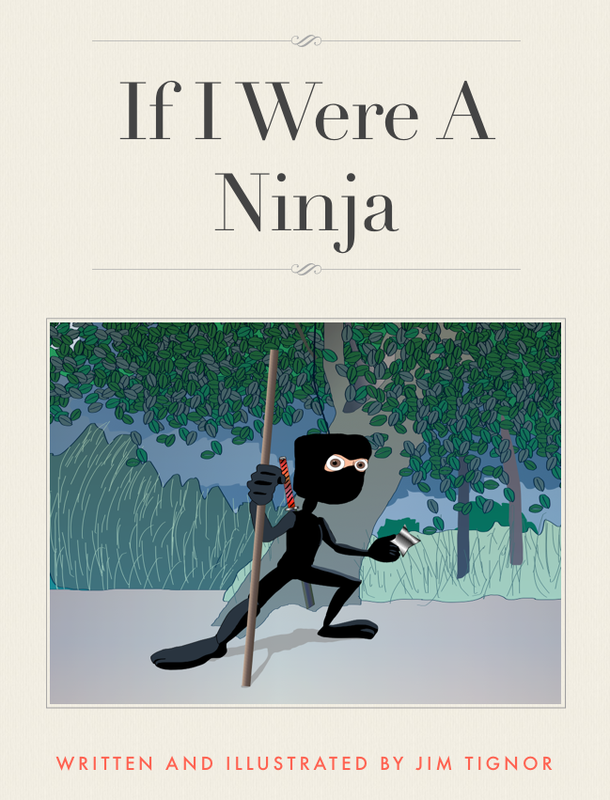 The first book is called "If I Were A Ninja". 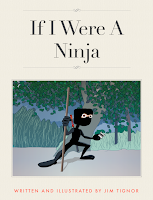 If I Were A Ninja is a playful exploration of the Ninja of ancient Japan. I was in advisory contact with American ninja martial arts pioneer Stephen K. Hayes to be sure this story was as accurate as possible. The second book is called "If I Were A Pirate" It is similar to If I Were A Ninja, but obviously, focuses on pirates. Delightful drawings are sure to engage your young child. The books are readable at two levels. 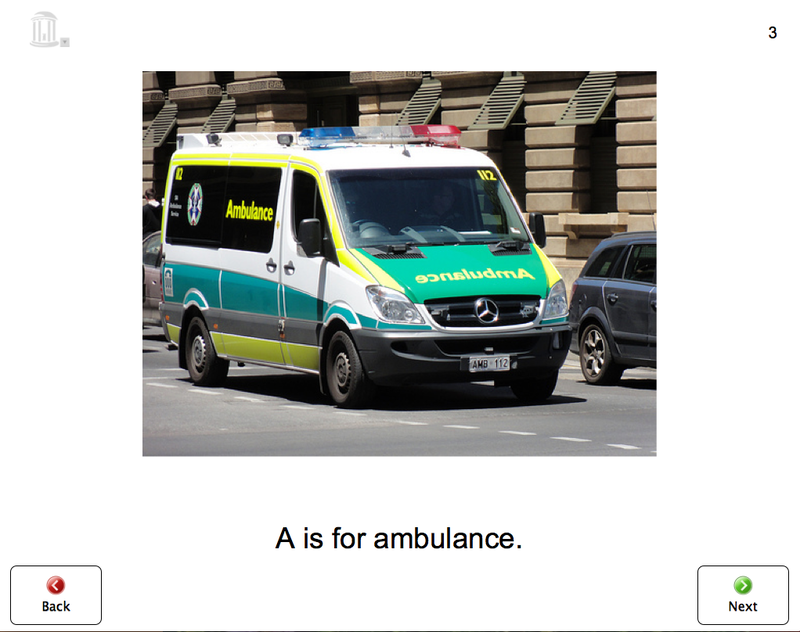 For younger children (5-8) the larger text contains simple concepts. The smaller text at the bottom of the pages contains more complex ideas of how the Ninja or Pirates operated, and is more appropriate for slightly older children (8-10). Both books retail for $4.99 each. I don't normally shill products on my blog, but I hope you will forgive me this one time! I am pleased with both, and hope you will consider taking a look. Holding Thich Nhat Hanh in the Light. Zen master, poet, and peace and human rights activist, Thich Nhat Hanh experienced a severe brain hemorrhage on the 11th of November. It is obvious that we are inter-are. yourself so that I will be beautiful. that you do not have to suffer. I support you you support me. you are here to bring me joy. So with over a hundred iDevices out in my district I have been getting quite a few frayed charger cables back. They are expensive to replace when you add them up. And it's a nuisance. I have begun wrapping my cables preemptively. I find that they tend to fray where the cable enters the iPad end. So, I take about 4 inches of duct-tape and wrap it snugly. This will hopefully help protect the cables, and they have also proven to be incredibly useful in plugging in iPads which have a Big Grips case on them. The only complaint staff have had for the Big Grips, is that the charging port is recessed in the casing, and sometimes hard to plug in. Photo may, or may not have been Photoshopped. 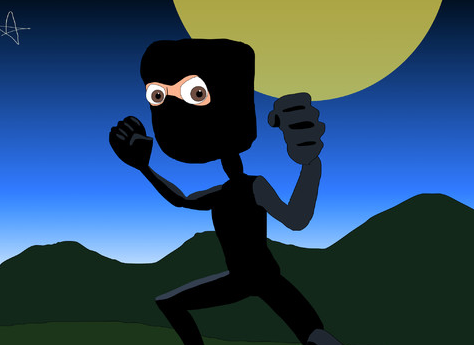 Tek-Ninjas, one of my favorite blogs is called the Tempered Radical. If you've not read it yet, take a look. 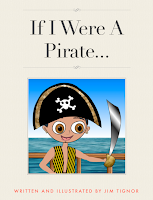 The author of the blog is Bill Ferriter, a classroom teacher, book author, and obviously, a blogger. Based on his writings, I think Bill and I share similar views on politics and education. He seems to get riled about the same issues as I. So, naturally, I like him. Recently, Bill posted a blog with a video of Tupac Shakur as a young high-school student. In the video Tupac is discussing the state of education as he sees it. I think he makes a number of really interesting points. So, I share this with you, first to share the blog site with readers, 'cause there is good thoughts going on over there, and second, just 'cause I love Tupac. The man was a sharp thinker. Never mind the storied rivalry between the universities. Rich Goldberg and Kevin Caves work with UNC and Duke respectively in very unique engineering programs, and they and their students collaborate to make amazing things happen. devices for people with disabilities. According to their website: "their project ideas come from therapists and clinicians in Durham and Chapel Hill who serve as project advisors throughout the semester". My guess is that they stay local because their students need to be able to work closely with their "clients". You can find info about their program here. Their mandate, as I understand it, is to make a device that is useful/necessary to increase the individual's occupational performance and independence. The "thing" they build can not be available on the market. Over the years I've seen some really remarkable products from them to help students in both Durham and Chapel Hill. 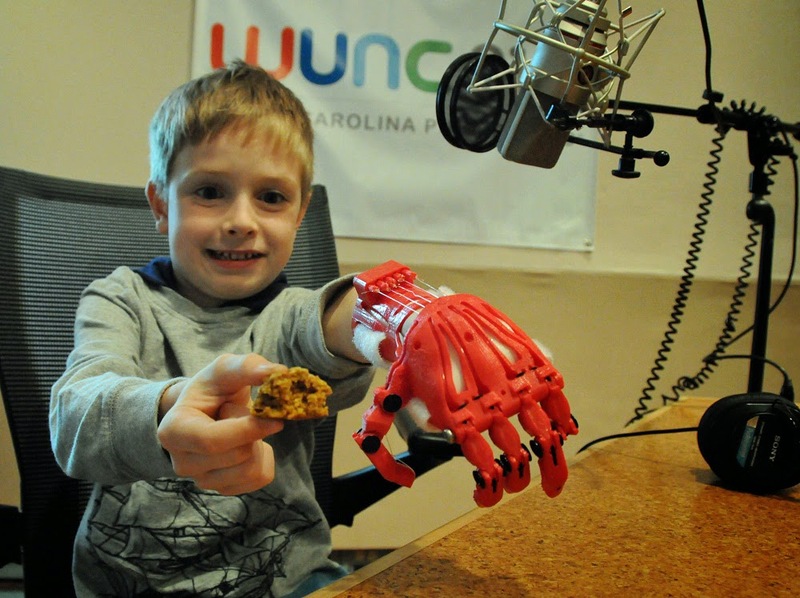 Recently they worked with a local boy to 3D print a prosthetic hand. Material cost: $20. There is a terrific article with accompanying video and WUNC audio interview here. Of note is that the projects are made for specific individuals and are not commercially available at this junction, nor do Goldberg or Caves plan to make them available. My guess is having done the ground work, commercialization is left up to some other individual. 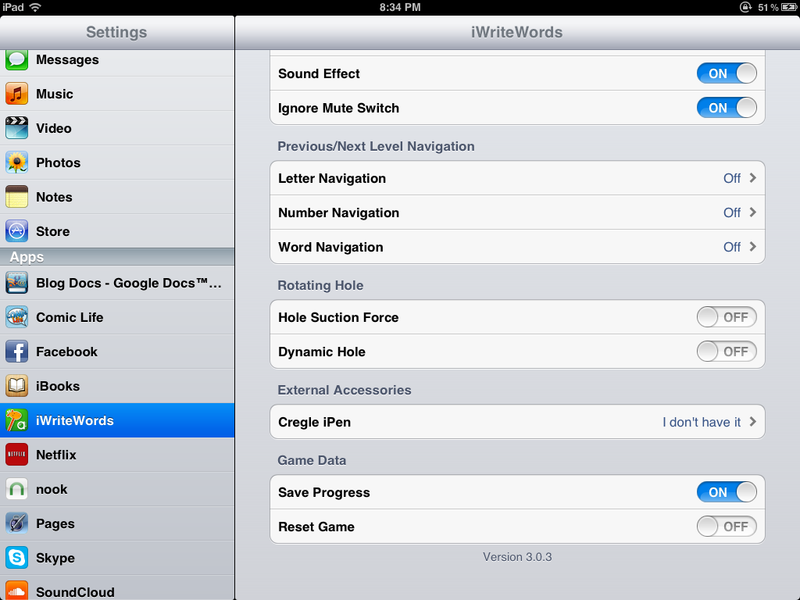 Guided Access on your iDevice got even better. Tek-Ninjas, if you are like me, you were excited by the Guided Access feature on your iDevice, when it came out a few years ago. 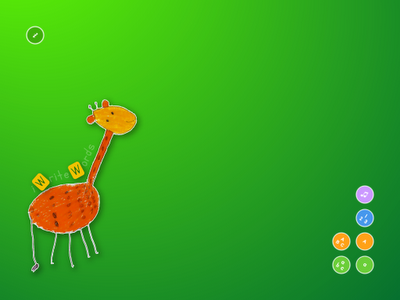 Well, with the new operating system, OS8, there are some improvements, which make the feature even better! To start with, the adult can now set a timer for how long the app will run. The interface is incredibly simple. Within the timer function, the user can designate what the time bell sounds like, and also have a warning voice let the student know when the time is almost up. This can help tremendously with transitions. The timer function can be used to help students know how long they "must" participate in a given app, or how long they "get" to play a game. If you are on Facebook, or tuned into teaching related news, likely you've heard of this coming Time Magazine cover (beginning of November). Read the fine print... if you are a teacher, it should be offensive. If you are not a teacher, it should still be offensive. Word on the 'net has it that the article inside is actually fair and balanced. But boy does that cover get my hackles up. Guess that was the intention? Across America, teachers are being asked to serve as counselors, parents, food-banks, cops, custodians, oh, and lets not forget they are supposed to teach. Yet Time Magazine wants to focus on how hard it is to fire bad teachers?!?! 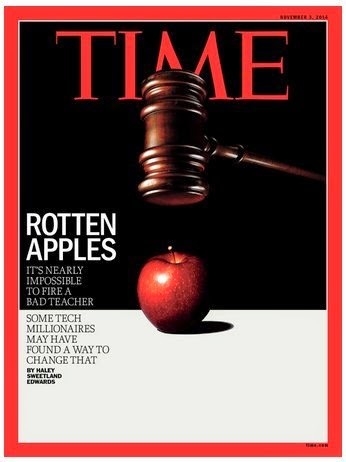 The American Federation of Teachers is running a petition to get Time Magazine to apologize for the offensive cover. You can find that here if you are interested. Happy teaching folks. Carry on the good fight. Hey Tek-Ninjas, are you familiar with Tar Heel Reader? If not, you should be. The Tar Heel Reader is an online collection of FREE, easy-to-read, and accessible books on a range of topics. Just a few of the many vendors at Closing the Gap this year. 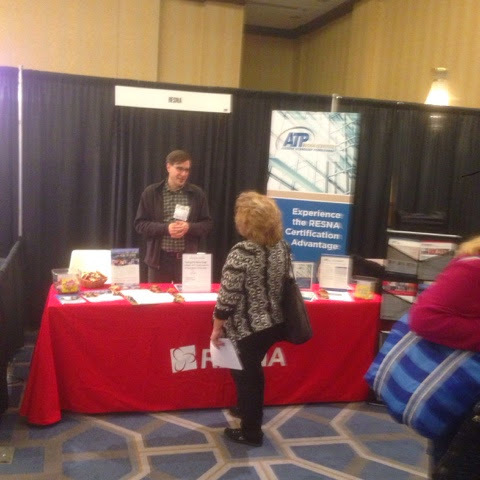 No technology conference would be complete without RESNA! 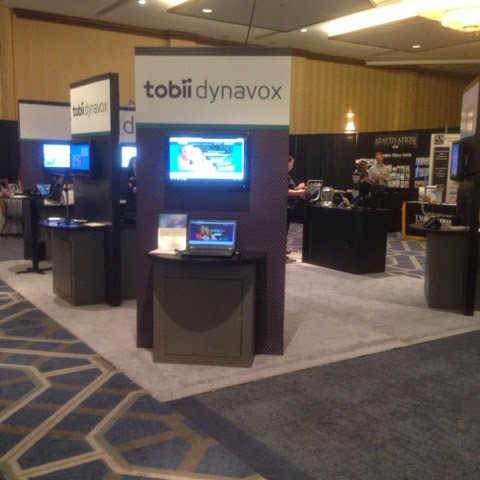 This morning I just had to go back to Dwayne Szotz's area to learn more about his Zot Artz events & experiences. According to their website: "Creative expresssion is a primary human need, necessary for self-fulfillment and self esteem. 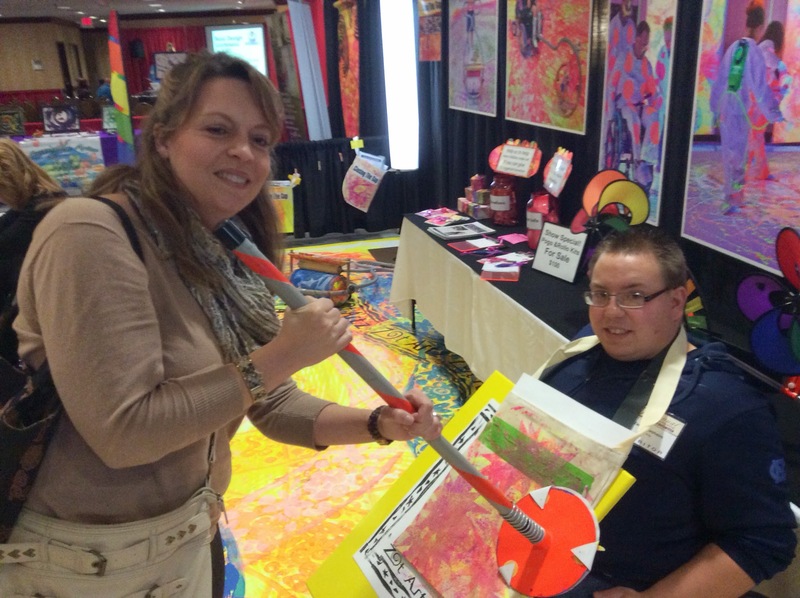 Art is a from of creative expression in which individuals with disabilities can excel, given the opportunity." "Rather than finding ways for people with disabilities to participate in activities for non-disabled people, we create entirely new activities and projects for people with disabilities and invite those without disabilities to join in." This mission is what really makes Zot Artz so unique and fabulous. 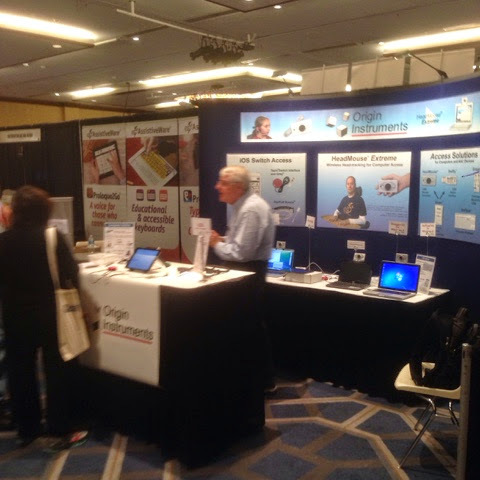 On their website you can purchase tools from them, or arrange an event at your site. 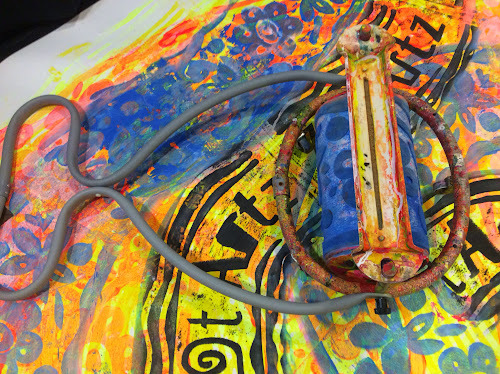 Art work projects vary in size and scope, allowing for graded difficulty to suit the user. 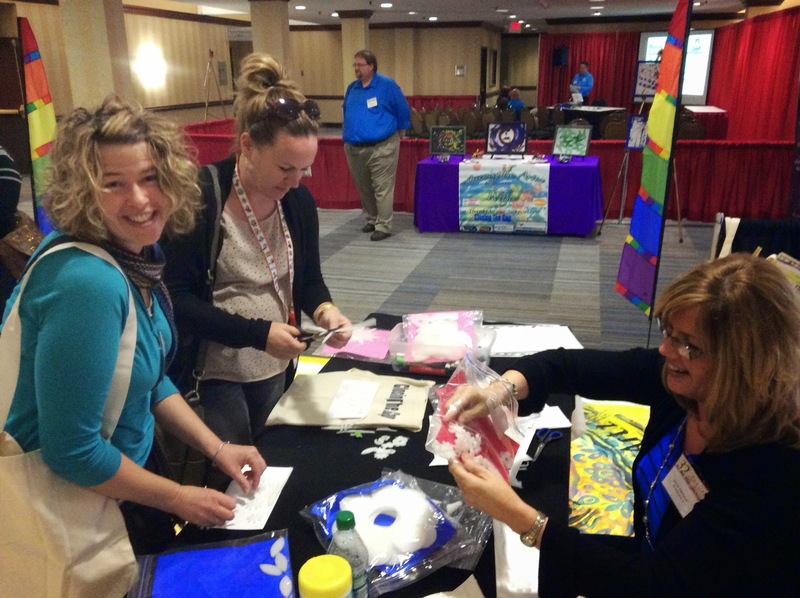 Here at Closing the Gap folks with and without disabilities decorated their canvas totes provided by the conference. Tools include custom made stamps of all different sizes, including hand-held rollers, wheel-chair driven rollers, and pogo stamps. As an Occupational Therapist I get all kinds of excited thinking about the skills this activity engages (sequencing, hand-use, bi-lateral hand-use, planning, just to name a few). As an artist, well, the end results are really beautiful. 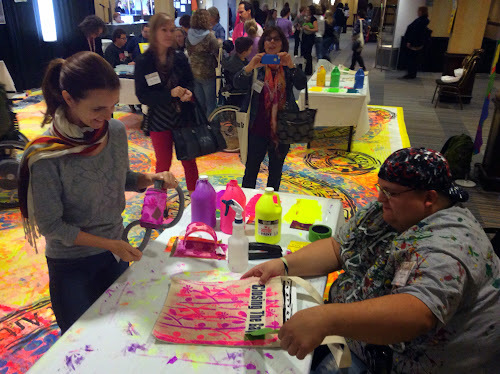 So, take a closer look at Zot Artz, and see if this interesting Assistive Technology might become an important part of whatever program you are working with. Closing the Gap: Day One, weeeeee! 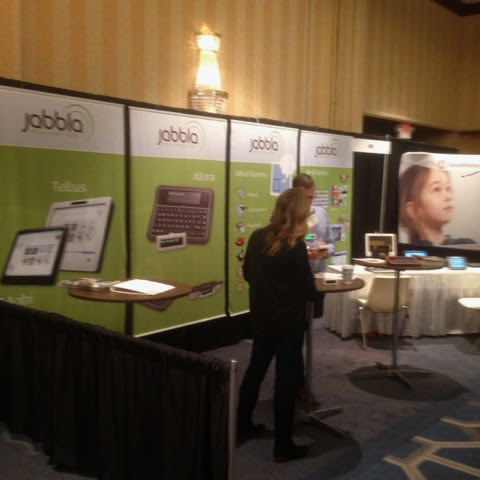 Day one of Closing the Gap Assistive Technology Conference here in Minneapolis. WOW! So much great stuff to see and learn about. 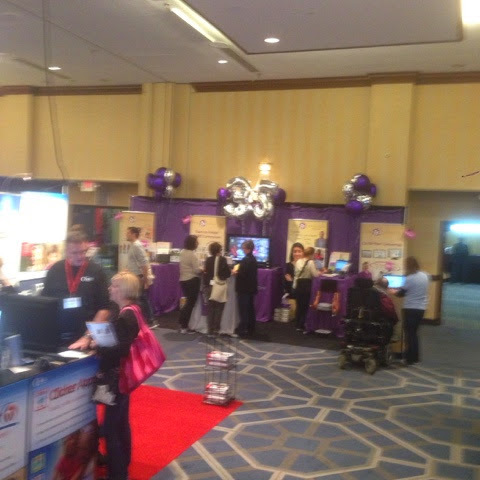 I spent the morning wandering around the vendors booths, seeing old friends, and making new ones. 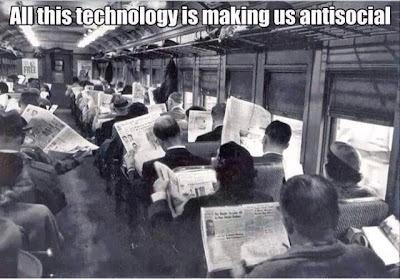 Technology has come a long way folks! So many great products available. I had a chance to talk with Mel Dashner, VP of Origin Instruments, and the switch interface equipment they are making is really terrific with paletable pricing. I also spent some time with Lalitha Nagarajan, ther Director of invention labs, creator of Avaz, which I reviewed awhile back. They have some really terrific upgrades to Avaz which I was not aware of, and some amazing apps in development. Keep an eye out for new products from them! Also, I spent some really valuable time with Mauricio Meza of Komodo, makers of the Tecla Shield. Expect a review of their very sophisticated switch interface soon. Finally, I had the opportunity to talk with Dwayne and some of his "art assistants" from Zot Artz. Really fun work happening there. I hope to get back with Dwayne this week and learn more about their program. I gleaned quite a bit from Sarah Herrlinger, Senior Product Manager from Apple regarding Accessiblity Features in Apple's iDevices. Some of this was "basic" info for me, but some of it really clarified how the accessibility features can work. I hope to blog about some of this more later. The stand out seminar for me so far was with Denise DeCoste, creator of the Writing Protoco. l which will soon be available from Don Johnston. I hope to take a closer look at her assessment tool soon. So, I'm finishing lunch now, and heading back down soon. Back in 2012 I wrote about iWrite Words as one of my favorite apps. It continues to be one of my favorites, and so I thought I'd repost this write-up! Hey Tek-Ninjas! In an hour I will head to the airport to fly to Minneapolis for the Closing the Gap conference. It has been about 4 years since I've attended this conference and I'm so excited! The most practical, practitioner-driven AT conference in North America! 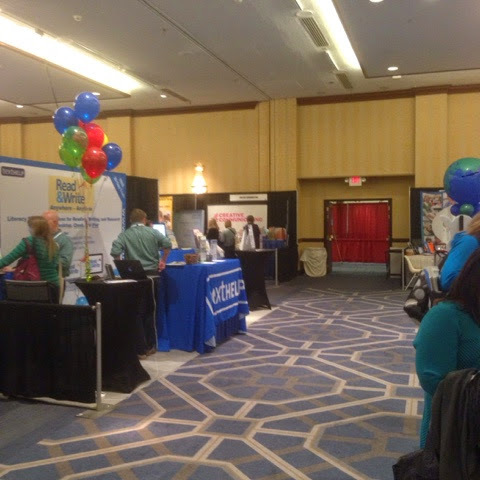 This year's conference builds on a tradition of providing a comprehensive examination of the most current uses of technology by persons with disabilities and the professionals who work with them. Topics will cover a broad spectrum of technology as it is being applied to all disabilities and age groups in education, rehabilitation, vocation, and independent living. If this years conference is as good as the last I attended, I'm sure to learn much, and hopefully have ideas to share with you all. Recently a colleague who is working with our Occupational Course of Study students came to me and said she wanted to work on cursive signatures for her students. Alas, her cursive is terrible (self-report, not my judgement). So, she wondered if there was a program that could make individual sheets for each student to work on their names. A quick google search found Handwritingworksheets. Easy, quick, and best of all, FREE. 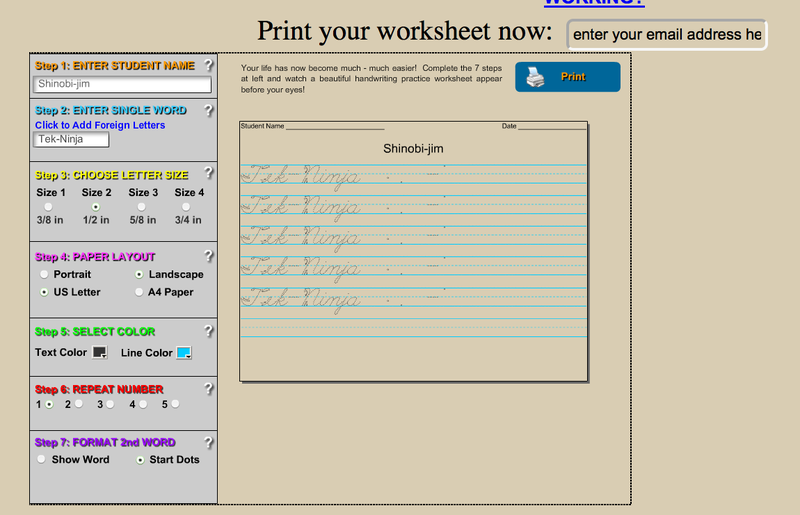 The website allows the user to make worksheets in manuscript, D'Nealian manuscript, and cursive. In addition, the user can made individual words which are repeated, short sentences, or a paragraph. Because it is web-based, it can be used on Windows, Mac, Linux, Pi, or another platform you are sporting. 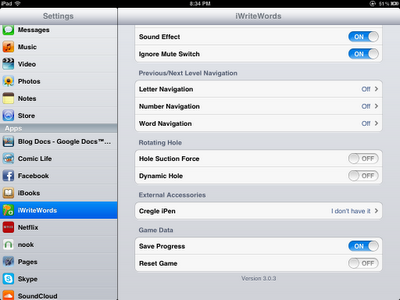 Also of interest, sizing is customizable, as is the page orientation (landscape or portrait). 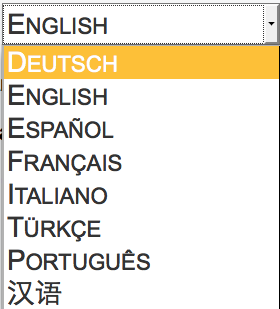 Also, font colors are infinitely tailorable. There is some research (don't ask me to cite it, 'cause I don't remember and will just do a google search as can you) which says tracing letters is perhaps one of the least efficacious ways to learn letters. 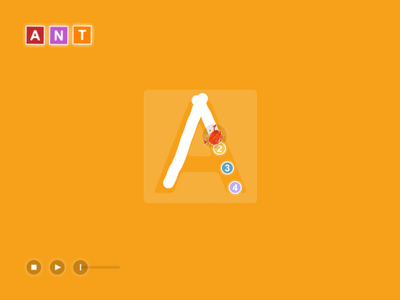 With this site, it is possible to make one word traceable, and the next just have starting dots for the letters. 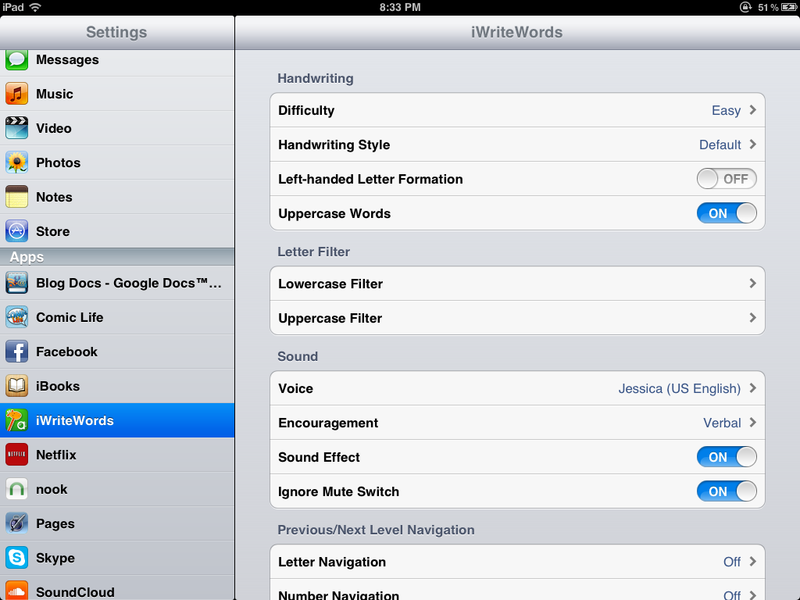 For those of you working on handwriting, I hope this proves to be a useful tool. A Great Tool for Reluctant Emerging Writers! Two years ago I wrote about Scribble Press, a favorite app of mine, which I referred to as Mad Libs with Super Powers. 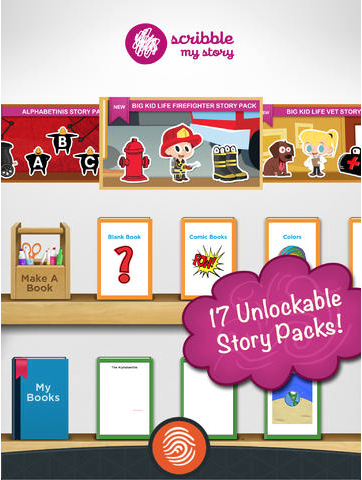 Well, the folks at Scribble Press have teamed up with the folks at Fingerprint Play and developed an app called Scribble My Story. It is described as a "junior version" of Scribble Press. 1) Scribble My Story has audio! 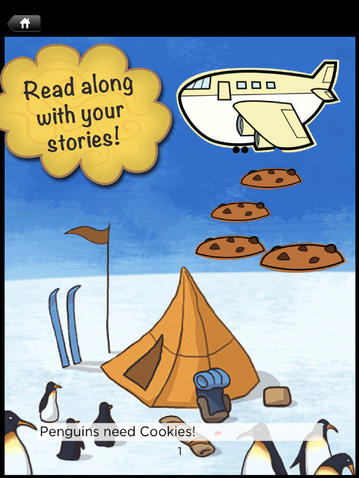 Pre-written stories are read aloud, and there is also the option to record your own voice as you write your own story. 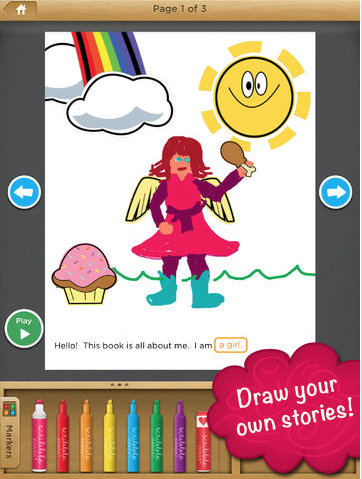 2) Scribble My Story takes advantage of the Fingerprint platform so parents can keep in touch with what their kids are learning and what books they are creating. 3) There is a wealth of new artwork available, much of it based on the popular characters from Fingerprint Play’s Big Kid Life. 5). Scribble My Story is free! 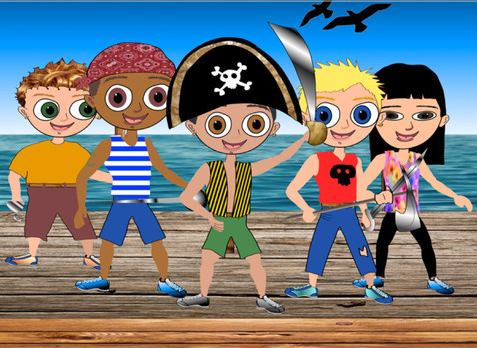 Scribble My Story is geared towards kids ages 3-7, with an age appropriate user interface and easy drawing tools. There are 6 stories in the free download, and more to download for small fees ($0.99). 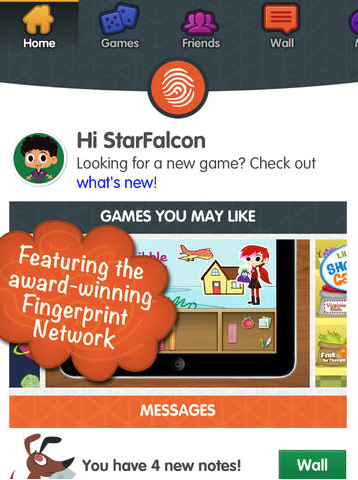 FingerPrint Play brings more interactivity for the family including a shared family account which allows parents to track their kid's progress, message one-another, and a "parent gate" to control in-app purchasing. This app, like it's predecessor is a great way to engage reluctant writers, either using their index finger, if they aren't quite ready for a writing tool, or to introduce a stylus. 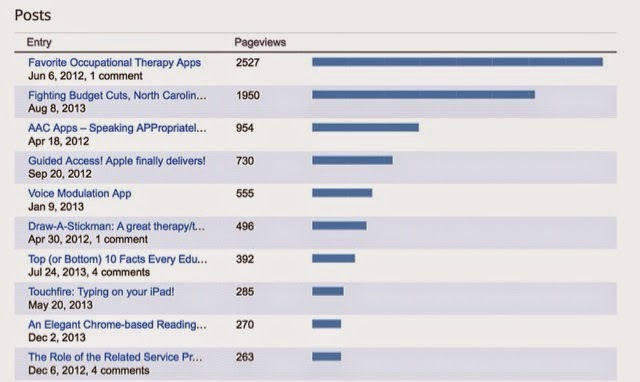 It should prove to be a great tool for Occupational Therapists! Researchers and educators have suggested note-taking-by-hand produces greater efficacy for learning than note-taking-by-keyboard. Supporting this notion, Pam Mueller and Daniel Oppenheimer*, posit that handwriting may create deeper processing of the content. Mueller and Oppenheimer conducted three studies, and concluded that subjects who took notes via keyboard were able to generate more written product. Students who took notes keyboarding were not as capable as their handwriting peers in remembering factual details, demonstrating conceptual comprehension, or synthesizing the material. "What drives this paradoxical finding? Mueller and Oppenheimer postulate that taking notes by hand requires different types of cognitive processing than taking notes on a laptop, and these different processes have consequences for learning. Writing by hand is slower and more cumbersome than typing, and students cannot possibly write down every word in a lecture. Instead, they listen, digest, and summarize so that they can succinctly capture the essence of the information. Thus, taking notes by hand forces the brain to engage in some heavy “mental lifting,” and these efforts foster comprehension and retention. By contrast, when typing students can easily produce a written record of the lecture without processing its meaning, as faster typing speeds allow students to transcribe a lecture word for word without devoting much thought to the content." For those of us working with students with special needs, who are doubly challenged by handwriting this becomes even more complicated. If the student cannot read his/her writing, what than? If the student's rate of handwriting is half the speed of his/her peers, what than? There are the obvious benefits of being able to quickly reorganize and edit word-processed work. So, food for thought. No answers here, but when we make recommendations to switch a student to keyboarding, and possibly jettison handwriting, we need to consider the whole impact. Perhaps, we switch students, but ask the team to continue addressing handwriting. 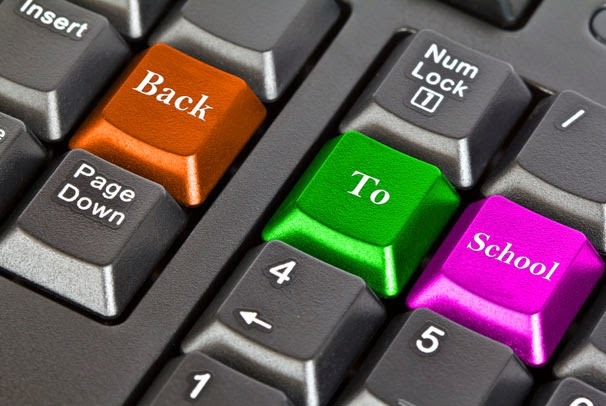 It may be that the student benefits from keyboarding notes, and then taking a short-hand set of notes at home. I'd be curious to hear reader's thoughts on this. **May, C. (2014, June 3). A Learning Secret: Don't Take Notes with a Laptop. Retrieved September 12, 2014. Often, when we think of students who struggle with handwriting, we are focused on composition. And, indeed, this can be the bulk of the student's obstacle. However, if a student has significant dysgraphia, we will often find it impacts his or her ability to write out their math problems as well. Over the years, if I was going to make a technological intervention in such a situation, it would include a laptop and accompanying software such as MathPad" from Intellitools. 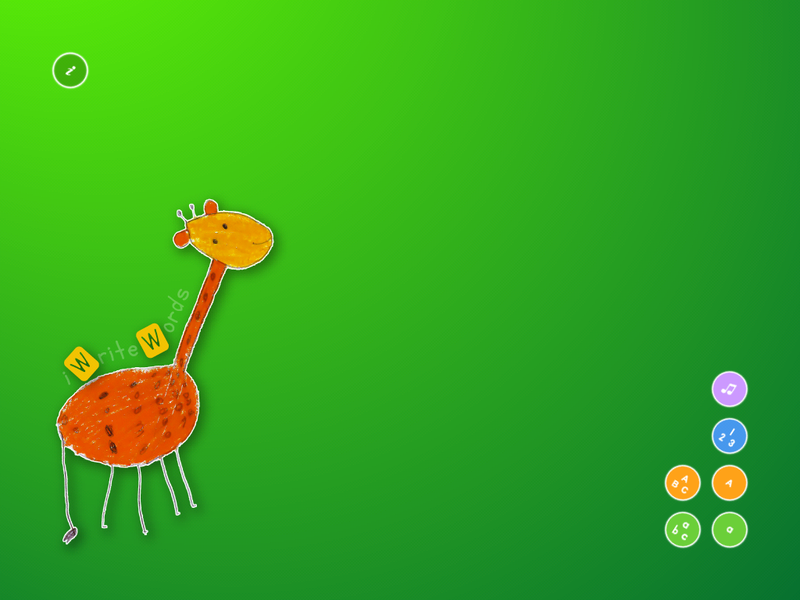 I have really found MathPad to be a great program for the right student. 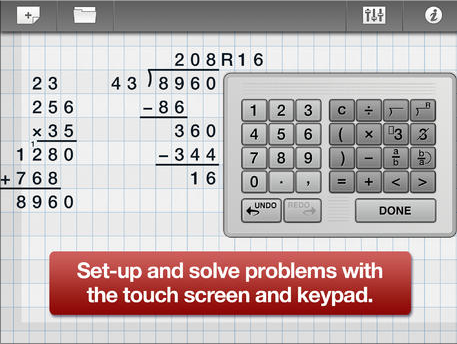 MathPad allows the user to solve arithmetic problems on-screen. The teacher can pre-load problems, which are presented individually. This program is both Mac and PC compatible, and retails for about $99. 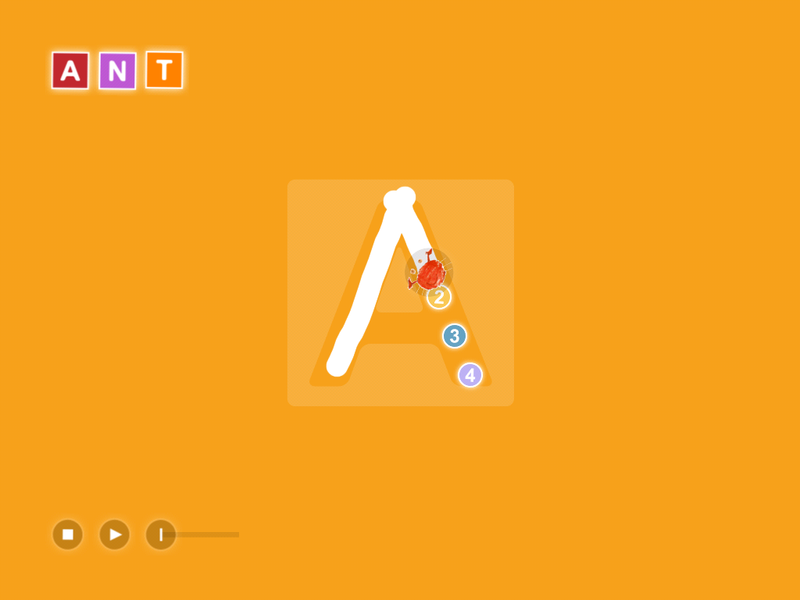 More recently, a fellow OT shared with me the iPad app Mod Math by Division of Labor SF. This app is free, simple, and really intuitive to use. ModMath is a great app for students who struggle with the writing process! 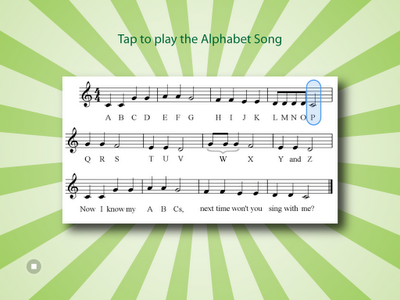 The app removes the need for a keyboard, allowing the user to interact with program using the touch screen. So free versus a hundred dollars... in some ways the math is easy to do (sorry for the pun). ModMath is a great app, and will likely be my go-to for many of my students. The cost output is significantly lower than the Intellitools software and a laptop. However, don't throw out the Intellitools product, there are some really terrific features, which for the right situation will make the proper choice! For one thing there are 300 bonus problems that come with MathPad. MathPad allows the teacher or student to enter problems directly into the program or to import problem lists created with a word processor. 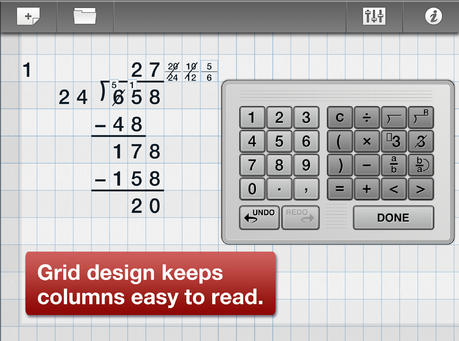 MathPad automatically sets up problems using the correct vertical format. Students can go to the Problem List box to check their answers. 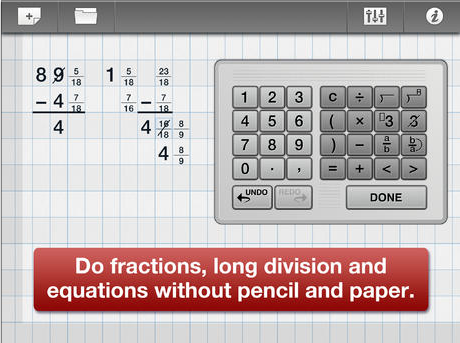 MathPad places a check if the problem is answered correctly, or a dash if it’s incorrect. 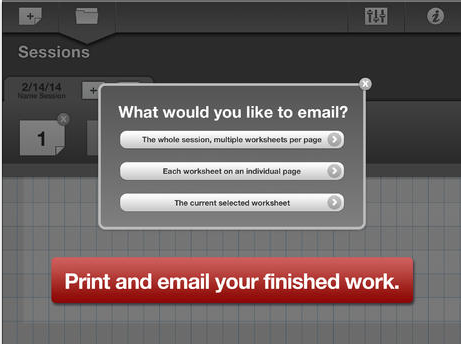 The program lets you set up a file for each student and keeps a portfolio of his or her work. MathPad also will read the problem to the student, including their answer. In an email conversation with their representative, Dawn, I learned that they are planning "to launch a kickstarter campaign to raise money for an update to Modmath that will allow students to use it for algebra". In addition they are also hoping to make a version for droid. So, two great choices to help students whose writing is getting in the way of their math success. Happy therapy! Too cool for my fellow OT's out there! Well, one more for the day... Guess I'm on fire Tek-ninjas! 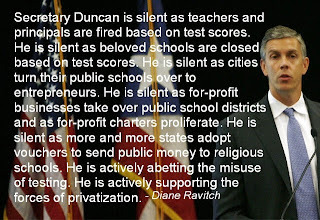 Our fearless United States Secretary of Education, Arne Duncan writes a blog about education. It is often interesting, and mostly infuriating to me, as I don't see Mr. Duncan as a supporter of education, and so I am not a fan. Ironic, I know, given his office. It doesn’t make sense to hold them accountable during this transition year for results on the new assessments – a test many of them have not seen before – and as many are coming up to speed with new standards. The standardized tests they have today focus too much on basic skills, not enough on critical thinking and deeper learning. Testing – and test preparation – takes up too much time." If you've followed much of his work, this all is an about-face for him. It does not fit with what seems to be his agenda to support high-stakes testing, and (the real cynic in me thinks) dismantle public education. But don't take my word for it, head over there, read it yourself, and leave him a comment. I left a comment, and so far, the FBI has not visited me. "Our Assistive Tech team keeps getting overwhelmed with referrals for an AT Eval or Consultation....How do you divide up the roles in your county? Any process tips you'd recommend to cut back on needless referrals or to put back some effort into the teams making the referrals? I've heard staff say, "Let's make an AT referral" as soon as a parent asks the team if the student might do better with keyboarding. I feel like the OT or teacher could answer that question without involving an AT referral. Any thoughts?" We occasionally get referrals that don't require our expertise. When this happens, we follow up with a phone call to the referrer and try to get a bead on the situation. Are there questions that the team genuinely needs help with or are they simply looking for confirmation of their thinking. With newer staff, it is often an issue of sharing with them what our respective roles are. Occasionally, we may be faced with a potentially litigious situation, and so we are called in to be thorough. In order to head off unnecessary referrals, we make a point to offer in-services to various staff groups (OT, SLP, PT, teachers) to really delineate what our respective roles are from our perspective. For example, Occupational Therapists already have significant "Assistive Technology" as part of their domain. Consider adaptive eating utensils or cups, weighted vests, or pencil grips. An OT would never make a referral for such low-tech equipment, because they consider it a part of their domain. I posit that keyboarding software is a part of such equipment for most OT's. Similarly, many simple switches are part of a SLP's bailiwick as well. Our Assistive Technology team considers our role as assessing need and prescribing technology interventions when the team "requires" such assistance. If the team already has a handle on the tools required to create an effective intervention, they probably don't need an evaluation, or possibly even consultation. Assistive Technology teams are not here to replace your clinical reasoning. That being stated, I do have staff who will utilize their considerable knowledge, plan interventions, and then call or email to to see what we think regarding what they are doing, and whether or not we think they "missed" something. In my estimation, this is a great way to use available resources. Other teams may handle such situations differently, and I'd be curious to hear from folks. 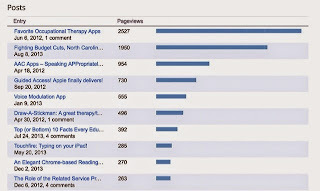 Thanks for reading, and happy therapy! Good day folks. Here in North Carolina students are officially back in school, at least if they attend one of our many beleaguered public institutions they are. It has been a looooong time since I last posted. I've had a terrific summer full of backpacking, mountain biking, family time, and the beach. Also, to be candid, my writing muse seems to have gone on a walk-about, and I've simply not felt the drive. I'm hoping to get back into the groove with this return to school! Yesterday my colleague, Ashley Robinson and I had the privilege of observing a self-contained classroom with 6 students with severe language impairments. 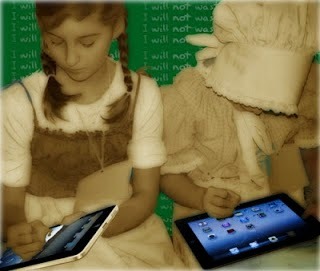 Every student utilized some kind of augmentative communication tool, and often more than one. We were very impressed with what we saw. Ashley and I came on time for morning group, and observed from the back of the room. Morning group looked much like any morning group for young students with a review of the date, the weather, and who was present. The difference between this group and others is the communication devices, and the slower conversational pace. And, this is where the magic occurs. The teacher would ask who wanted answer a given question. All around the group, a careful observer could witness students work to coordinate uncooperative bodies to respond via a switch or pad. For students who are language impaired, and as the case is in this class, also presenting with severe motor impairments, organizing their response takes significant effort. And time. Teacher Assistants are helping by holding devices at optimum locations. Once it's established who will be answering the question of the moment, the real question is asked. And then the waiting begins. At one point, another student in the group (with better motor skills and response time) expressed some exasperation at the wait. The teacher encouraged patience. Eventually (about two minutes) the student successfully targeted a switch providing an answer. This is real communication. But the key is waiting. Later in conversation with the teacher, I compliment her and her staff for being so patient. She mentions that she sometimes has to remind colleagues in school to wait for her student's response time. An adult will greet one of her students with a question (such as: how are you? ), but go to leave before the student responds because it takes awhile. She will call them back, and say "hey, don't walk away, he/she is working on an answer". So, the key to success here is patience. If you ask a language and motorically impaired student a question, you have to wait for the answer. Sometimes you might wait several minutes. But, it will be worth the wait! Two years ago today I was inspired for some inexplicable reason to write a blog. My first article was called "The Covenant", and it was about our responsibility as parents to stay educated and aware of the cyber-world on behalf of our children. 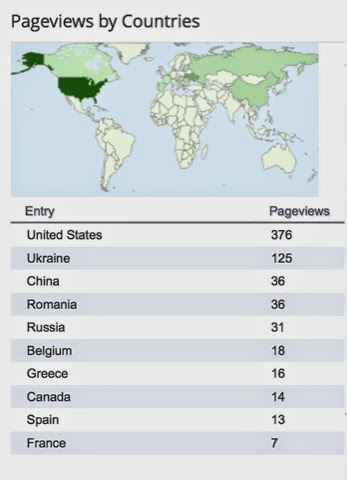 Since then, I've written over 200 posts, mostly though not exclusively about technology and education. I don't think of myself as a writer. 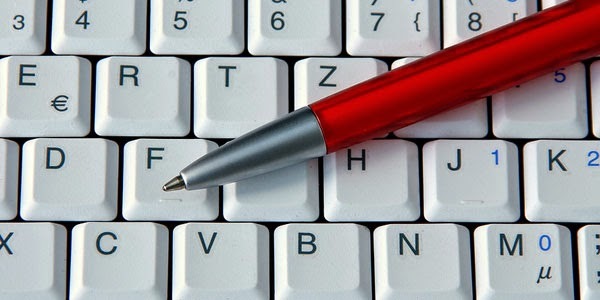 Many of my blogs are likely riddled with grammatical errors. And my level of productivity varies. Some weeks, I write several times. Some weeks I don't write at all. I enjoy seeing how many "hits" an article receives, however, there is no monetary incentive to writing. So, why write? There is no money. There is no prestige or power. I write because the process helps me to think about my practice as an Assistive Technology Professional, and as an Occupational Therapist. Writing helps me organize my thinking, and scrutinize my assumptions. It also makes me reach beyond the tools that I might typically gravitate to from inertia. Tek-Ninja has been a great vehicle for me to develop my practice. I hope the writing has been of some use to others. Happy birthday to me, and happy therapy to you! Tek-Ninjas, if you've been reading my blog for awhile, you may remember this article I wrote a few years ago. In the article I wrote about a conversation I had with a sales rep for a prominent education software company. I had (and still do have) a lot of respect for the fellow, but I thought he was way off base on his opinion here. Turns out, I was correct. Yes. this is one of those "I told you so" moments! He had posited that his company would NEVER make an app for the iPad, suggesting that the devices were essentially toys, without sufficient computing power to do their programs justice. Well, several months ago his company released an iPad version of their prize software. I'm not gonna share who and what it is, because I don't want this conversation to reflect poorly on them. I will say it's a really fine app that achieves everything the desktop version does. I will add that with increased portability (intrinsic to the iPad of course), a more intuitive interface, and a fraction of the price the iPad version is a superior product. To be fair, when we first had this debate, the iPads were new, and they did not have the processing power they now offer. It was a different beast. I'm pleased to see they have come around and created such a fine app. One of his big concerns was that teachers/therapists/and parents would use the iPad much like the t.v. has been used on some occassions, replacing meaningful interaction with a "babysitting" device. This was for me a cautionary notion. I still maintain, that the efficacy of any software whether on an iPad or laptop/desktop increases significantly with oversight from an educator, or therapist. This oversight means someone will apply educational/clinical reasoning to guide the process. Someone who will draw out the teaching moments, highlight successes, illuminate issues in order to correct them, tailoring the experience to the user. So, my take home notions here? One: as iPads continue to become more powerful devices, expect to see even more powerful software solutions becoming available (COOL! 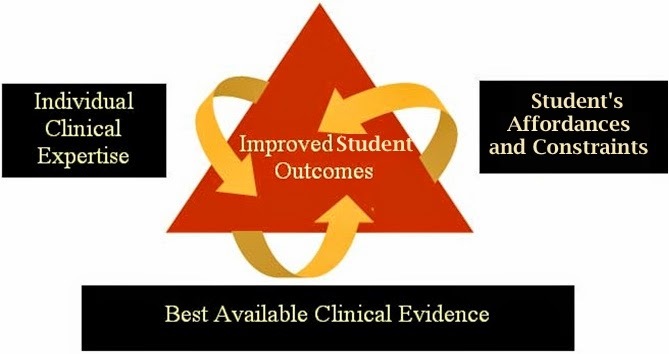 ), and two: continue to be vigilant of your practice... be mindful of any intervention you utilize so that the interventions purposfully bring you closer to your client/student's goals. We (in my school district) have been struggling with what technology to provide staff. Five years ago, we "refreshed" all the Exceptional Children Staff laptops. That was thanks to the Stimulous Funding, which provided several hundred MacBooks and PCs. We knew that we would have to revisit the issue in 4-5 years, as best practice suggests replacing laptops around that time frame. We knew it would be painful. Now, here we are. 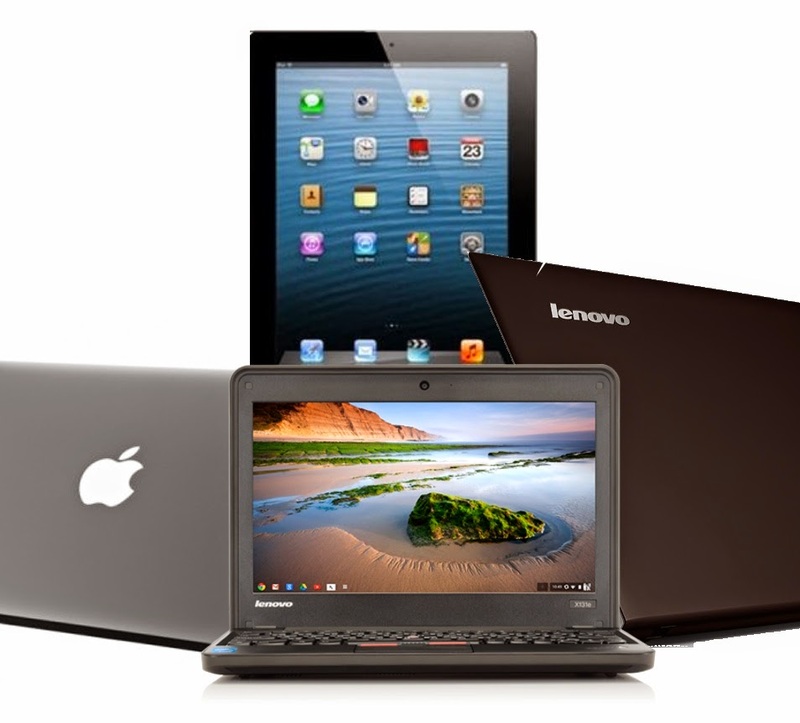 Historically we provide our Elementary and Middle schools with Macs, and the High schools get PCs. Not sure who decided that, but it occurred long before I arrived on the scene. The Macs cost us around $950. The "Business Quality" PCs we purchase cost around $900. Lets guess I replace 250 devices. That is $231,250. Sheesh. So, we've been exploring different options. One option is the Chromebooks. The brand our district would use retails for about $325. That is $81,250. Obviously significantly cheaper. I've been using a Chromebook exclusively for several months to see how it would work in our environment. There are a lot pros (price, simplicity, speed, and price). These devices would be ideal for our students in a 1:1 situation, but unfortunately, I'm unconvinced they will work for our EC staff. The problems include the following: Chrome doesn't work with our complicated Microsoft Word forms, does not work (well) if there is no wifi present, will not run educational software our teachers are already invested in (both financially and time-wise). Some of these issues might be manageable, for example, move away from the Word forms... maybe, but not happening anytime soon. And there are some great educational apps for Chrome, but just not enough to replace what we have with out tremendous training. Also, we have a lot of money invested in Smart Boards, and the Chromebook won't run Notebook, even the web-based beta product. 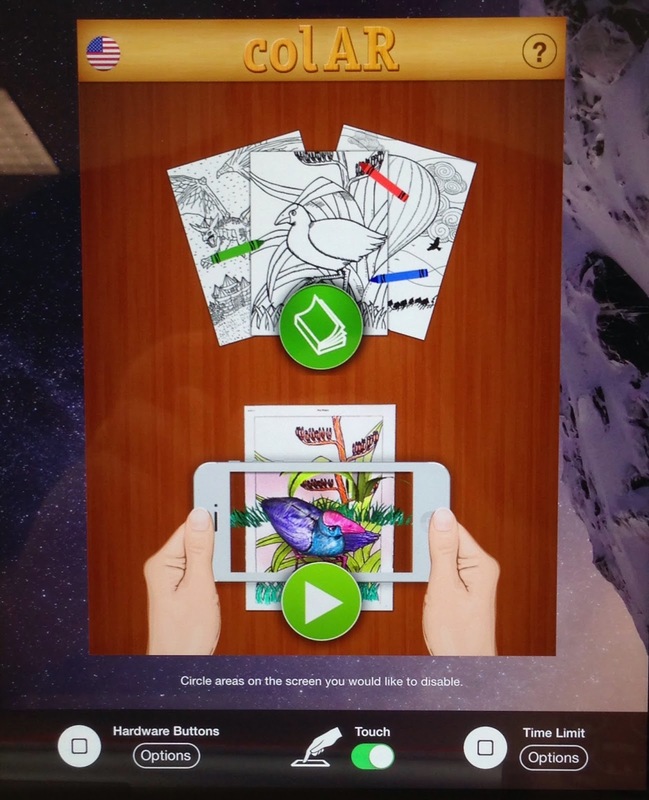 Another option we have looked at is iPads. By themselves, they are not a viable workstation. But, with a bluetooth keyboard, and a Microsoft Office subscription we might make it work. But at the end of the day, we are spending roughly $700 to outfit such a device, which would be about $175,000 for the district. The biggest issue we face in our district is getting them to print effortlessly. Sure I can print, but all of our staff (even the least tech-wavy) need to be able to print effortlessly. So, this won't work either. Not yet. So, I'm wondering, any great ideas out there? What are other school districts doing? People making iPads or Chromebooks work? I'd love to hear success stories!